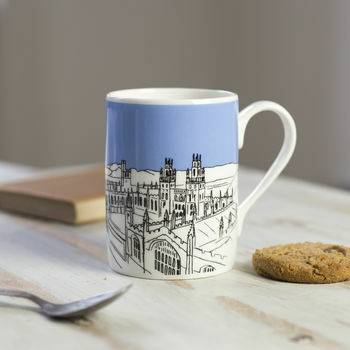 Beautiful Oxford Fine Bone China Mug featuring Emmeline Simpson's line drawing of the beautiful Oxford Skyline. 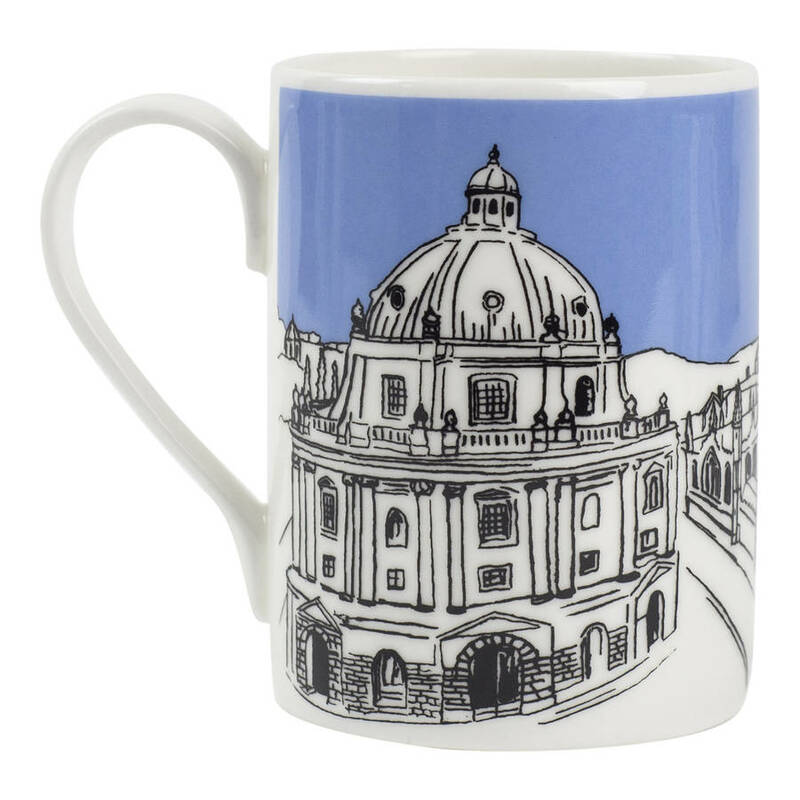 The perfect gift for Oxford lovers everywhere. 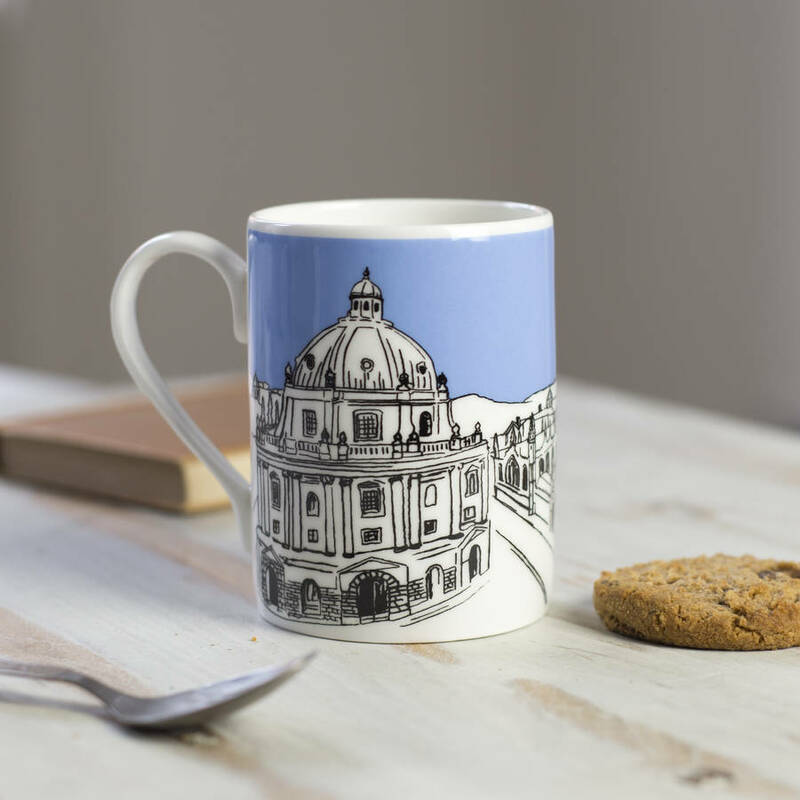 This Fine Bone China Oxford Mug is hand finished in Stoke on Trent and is designed by Emmeline Simpson, a mixed-media artist based in Bristol. Her technique involves making drawings of the vibrant cityscapes of Bristol, Bath, Oxford and London. These line drawings are then incorporated onto products. 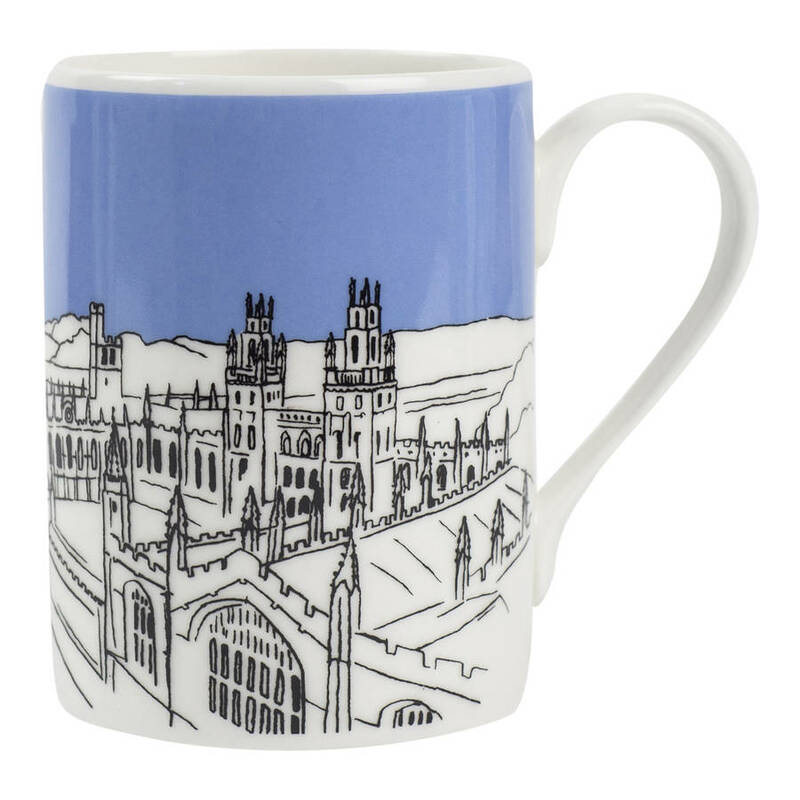 The perfect Christmas gift for someone special who has moved on from Oxford. Also available in pink, red and green. Fine Bone China, screen printed. Dishwasher and Microwave safe. Comes in sturdy double wall cardboard box.